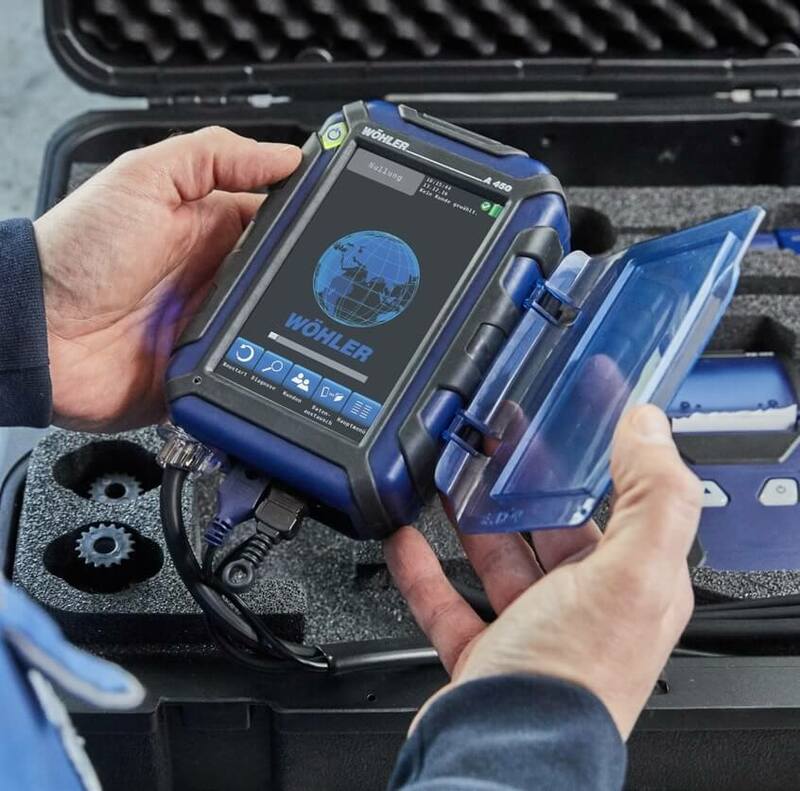 Wohler A 450 Combustion Analyzer Professional Set with Wireless 8390 is the newest combustion analyzer from the German manufacturer Wohler. 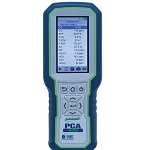 This new compact analyzer features a 5" high resolution color touchscreen that can monitor up to 14 measurements simultaneously on the display. Wohler has managed to shrink the A 550 design even smaller and still maintain all of the functionality. 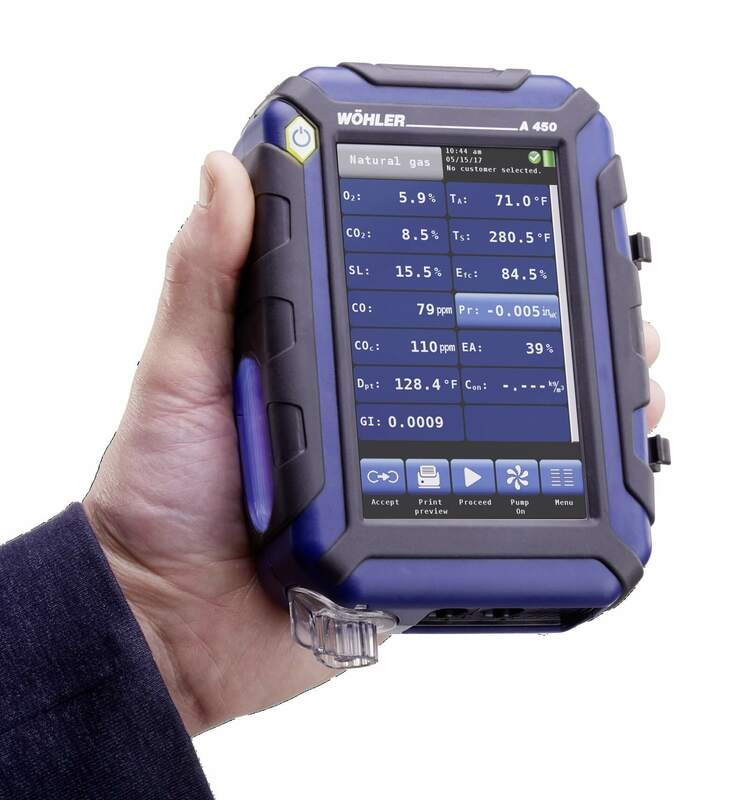 They have also included the ability to transmit all measurement data via wireless LAN to any mobile device (smartphones, Android and iOS tablets) which can be viewed using the included Wohler A 450 app. 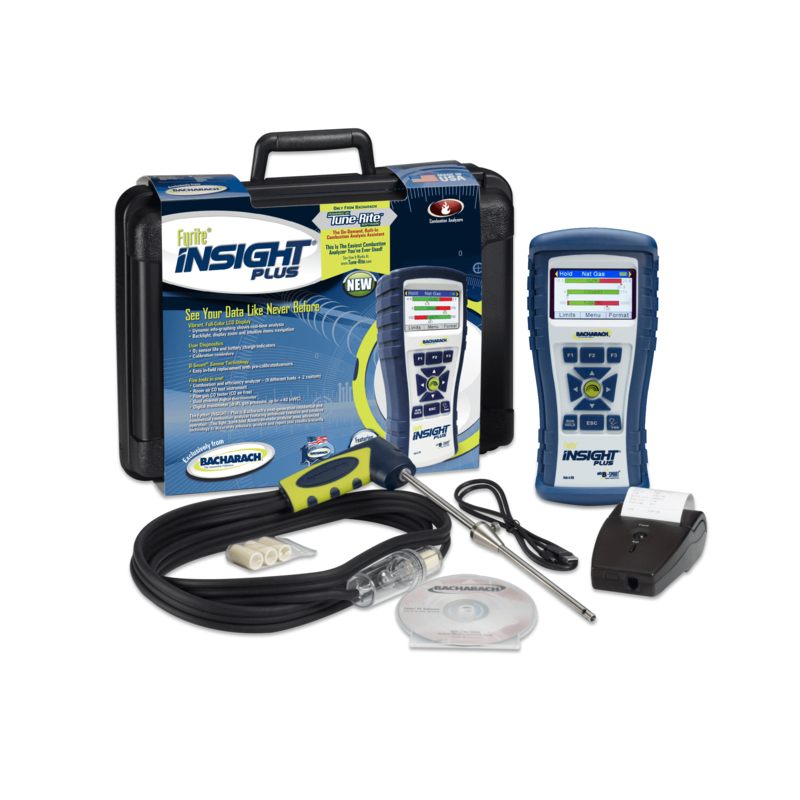 The app can be used to read saved data as well as take new measurements if necessary. This opens up the technician to work in areas that have poor accessibility. 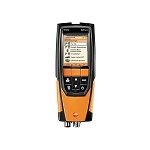 The Wohler A 450 performs flue gas analysis, draft measurement, adjustments for gas and oil systems, as well as a burner tuning guide. The tuning guide offers advanced guidance to properly adjust the burner to get it right the first time, every time. The built-in electrochemical O2 sensor has a standard measurement range from 0-21% and the electrochemical CO sensor (Not H2 compensated) has a range from 0-10,000 ppm. 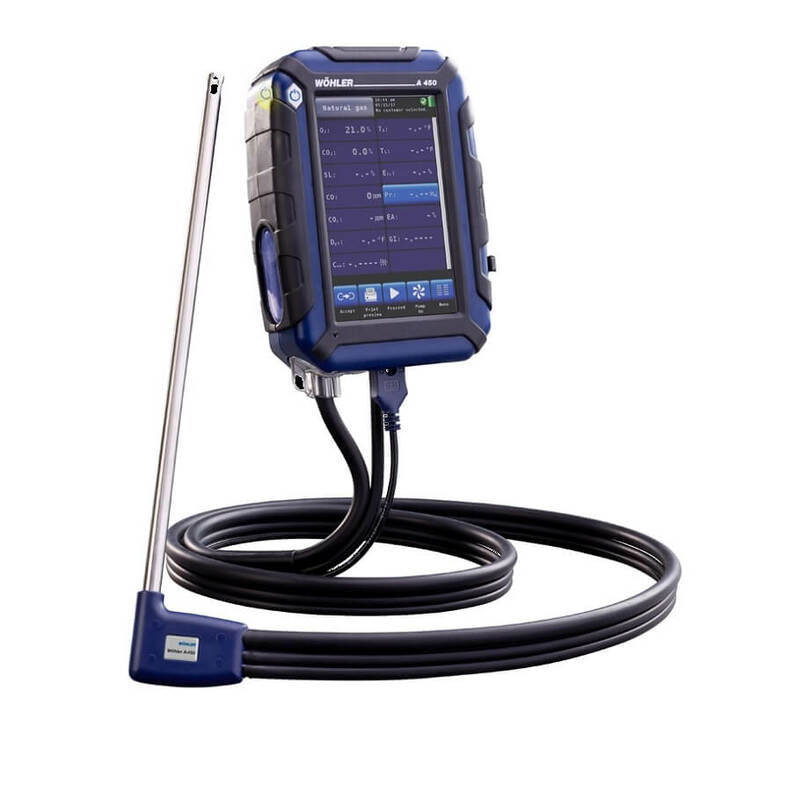 Wohler gives a generous 48 month warranty on the A 450 Flue Gas Analyzer including the O2 and CO sensor. 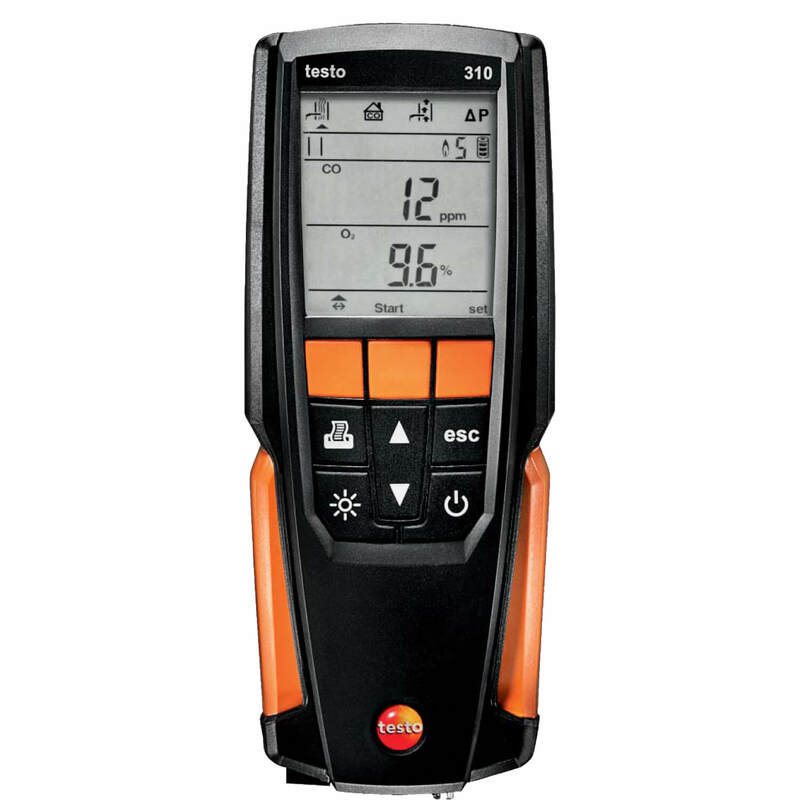 The optional CO (5,000 ppm) sensor is covered by a 24 month warranty while the warranty is excluded on the thermocouples, rechargeable battery, and the optional NO sensor. Sensor replacement is easy as Wohler offers field replaceable sensors. 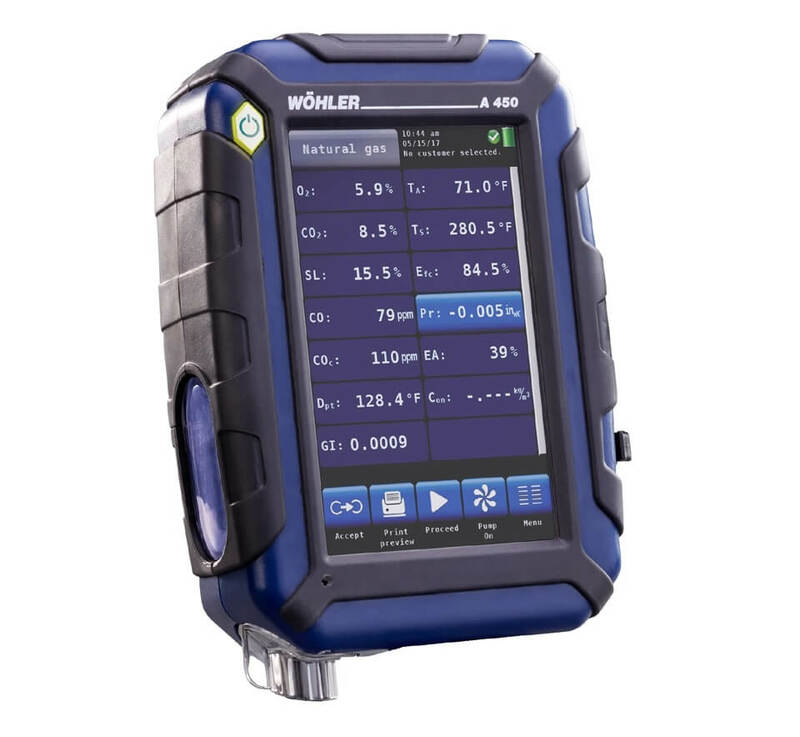 The Wohler A 450 Combustion Analyzer Professional Set 8390 includes the following: Monitors O2 from 0-21% Monitors CO (Not H2 compensated) from 0-10,000ppm Flue gas probe 10in. with 5ft. hose assembly Combustion air temperature probe 11" USB battery charger with micro USB Cable PTFE cone Differential pressure measurement set Wohler TD 100 fast thermal printer Wohler RP 72 smoke test pump Rechargeable lithium ion battery, 3.6V / 2250mAh Wohler A 450 PC software Water stop filters (3) Plastic case MAXI Wohler A 450. Made in Germany. Dimensions 6" x 4" x 1.5"
Length of the Probe Hose 5 ft.